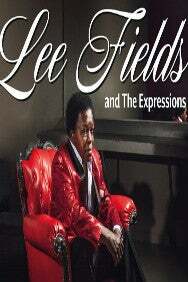 We do not curently have theatre tickets available for Lee Fields and The Expressions. This could be because we have simply sold out or it could be that this show is no longer running. The information on this page remains purely for historical and informational purposes. His latest album “Special Night” (Big Crown) is his most triumphant and honest record yet. It’s release follows the critical success of “My World“, “Faithful Man” and 2014’s "Emma Jean".